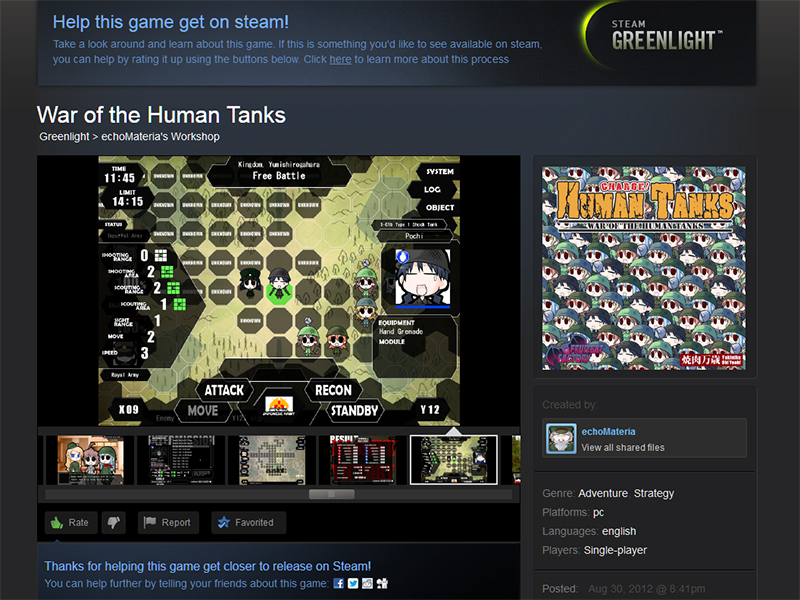 Human Tanks are laying siege to Steam Greenlight. Join the fight by clicking the button below and giving us a Thumbs Up. Don’t forget to click on the Favorite button too.